If you can’t make up your mind whether you want a chocolate brownie or a blondie why not roll them into one with a triple chocolate brownie – combining the best of all worlds of chocolate. 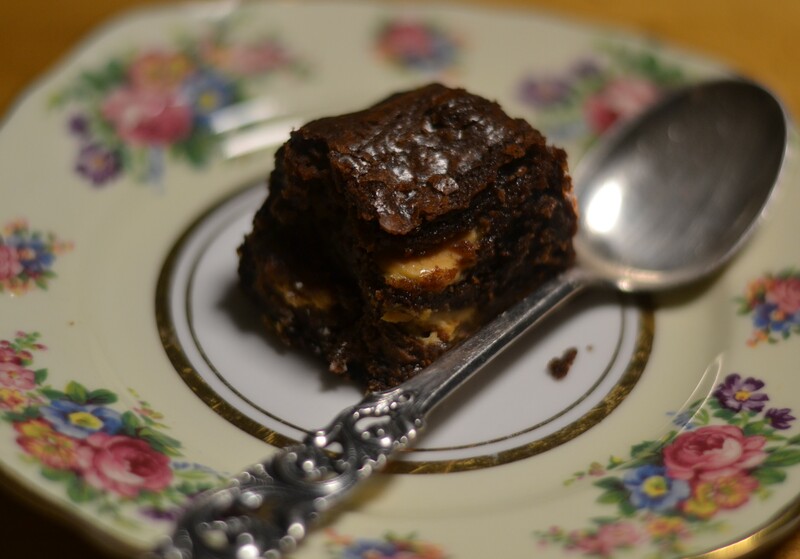 These brownies are lusciously rich, slightly crunchy on the outside and fudgy in the middle. If you prefer your brownies less gooey cook for an extra 5 minutes after the recommended cooking time. They can be enjoyed at room temperature or eaten warm straight from the oven. 1. Pre-heat oven to 170 degrees. Lightly grease 19cm square cake pan. Line base with baking paper. 2. Melt butter and dark chocolate in a medium pan over low heat and allow to cool for at least ten minutes. 3. Add lightly whisked eggs, sugar and sifted flour to the pan and stir until well combined. Gently fold in the chopped white and milk chocolate. 4. Pour mixture into prepared pan and bake in the oven for 35 minutes until a toothpick comes out clean when inserted into the centre of the brownie. 5. Allow to cool in pan. Dust with icing sugar and serve with cream or vanilla icecream. It looks so delicious and so easy. Another one to try.